Find what you’re looking for at SQ2 – the second stage in a grand production that’s revitalizing one of Toronto’s most iconic cultural landscapes. 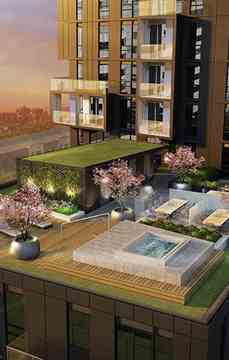 Ideally located at Spadina and Queen, SQ2 is master planned living, reimagined. With spacious suites overlooking the cityscape, discover a fresh take on life in the city. Eight Decades of Home Building. Over 80,000 Homes Built. Tridel Communities are Built Green. Built for Life. There is more than enough to diSQover at SQ2. Collect your thoughts over cardio or unwind your mind in the yoga studio. Relax outside on the sun deck or ease into the evening with a visit to the hot tub. The rooftop patio will offer you views of the city, ample lounge seating, outdoor eating areas complete with barbeque stations, lush greenery and foliage, and a hot tub retreat for the senses. Or simply kick back in your spacious suite – your home sweet home in the heart of Queen West. 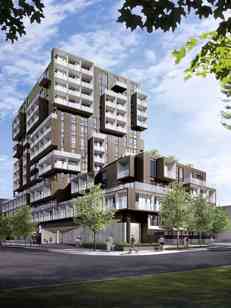 SQ2 is a new condo development by Tridel at Vanauley Street, Toronto. Close to streetcar lines, the subway and major city access routes of the Gardiner Expressway, Lake Shore Boulevard and the DVP.